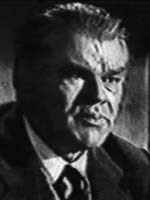 George Matthews played many tough guys on Movies and the stage. He had the lead in "The Big Switch" episode of Alfred Hitchcock Presents. An excellent actor in both roles. You love to hate him!